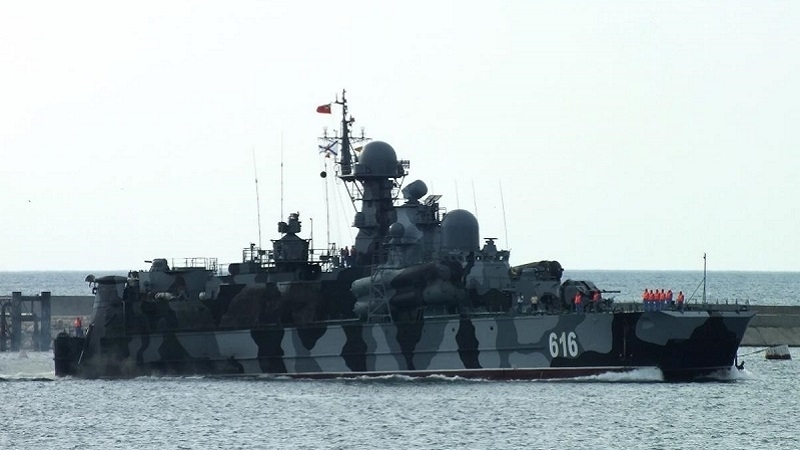 The occupation authorities have alerted the Black Sea Fleet of Russia, which is deployed in the annexed Sevastopol, the Crimean Channel in Telegram reported. According to preliminary data, on April 11 the command of all units was assembled at the headquarters of the Black Sea Fleet. “The emergency selector from the Ministry of Defense continues. They say the Black Sea Fleet has been transferred to combat readiness since the middle of March. Officially ships "Pytlivyi" and "Smerch-2", "Admiral Essen" and "Admiral Grigorovich" with the "Calibers" on board are already in the Mediterranean Sea off the coast of Syria. As well as the large landing ships "Tsezar Kunikov", "Orsk" and "Minsk",” reads the message. Earlier, the invaders in the Crimea at the Black Sea Fleet conducted exercises to work out providing safety of navigation and combat training of naval forces in the sea, in which units of radio engineering posts and communication posts took part. The exercise involved both stationary and mobile radar posts.